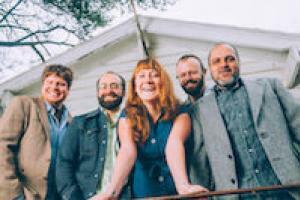 The Honeycutters, an Asheville, NC-based original country roots band, released ...their third studio album, Me Oh My, on April 21, 2015 with Organic Records®. Fueled by the powerful songwriting and vocals of founder Amanda Platt, Me Oh My moves her into the spotlight as producer, band leader, and principal creative force behind the band. With songs that are honest and relatable, part chagrin and part hope, Platt’s voice carries a timeless appeal. Me Oh My is threaded with themes of love, loss, acceptance and regrowth. It kicks off with an engaging southern swingin’ song, “Jukebox,” that is about taking life one day at a time and not taking yourself too seriously saying “it’s only a song, so for heaven’s sake won’t you sing along?” The title cut is an inspirational anthem about the state of the modern woman, stating, "Some girls marry and some girls wait." Me Oh My brings more of what fans love about The Honeycutters, honestly written songs sung in Platt's authentic voice. The up-tempo, beer-raising, danceable "Ain't It The Truth" is one that will fuel audiences at live shows while melancholy ballads like "Texas '81" balance the album both in meter and mood. The upbeat “I’ll Be Lovin’ You” as a whole speaks to holding someone up until they are strong enough to stand on their own. Me Oh My delves deeper into the darker realms of love with "Little Bird" which gained Platt notoriety as it was chosen as a finalist at MerleFest's prestigious Chris Austin Songwriting Contest (2011).